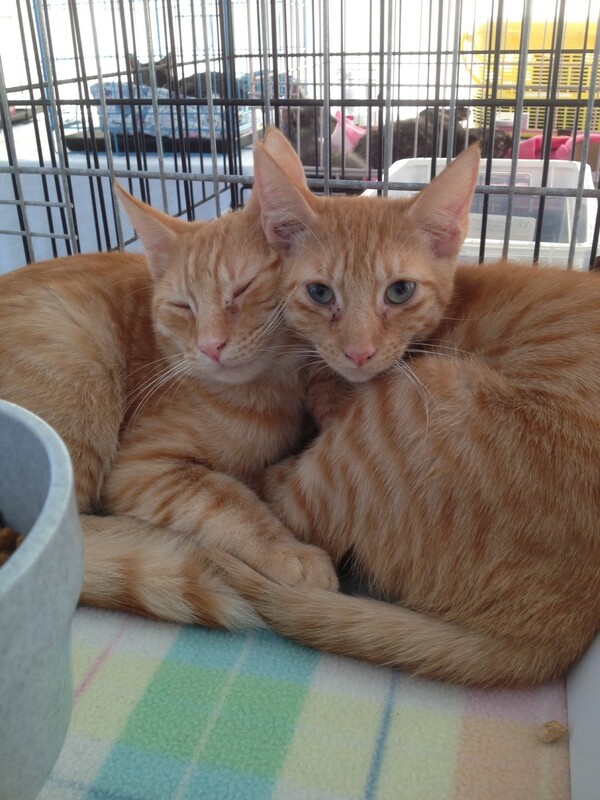 The Cat Network’s dream for a mobile adoption and spay/neuter unit for cats was born in 2001. The organization envisioned a vehicle that could fulfill two important needs: serving as a mobile cat spay/neuter clinic *and* an air-conditioned mobile cat adoption center, on different days. At the time, there were a number of mobile pet adoption units throughout the country, and over forty mobile pet sterilization clinics, but no one had designed a vehicle that could tackle both tasks. The Cat Network’s needs were truly unique. After researching several options, and coming up with a one-of-a-kind design for a 26’ customized vehicle, a fundraising campaign was undertaken to raise the money necessary to purchase the mobile unit. An anticipated two- to three-year $75,000 fundraising campaign was completed much sooner than expected, thanks to the generosity of three anonymous donors! By 2002, dream had become reality, and plans were underway to have the mobile unit constructed. Licensing, insurance, and legal planning for the vehicle transpired throughout 2003, and in 2004, the mobile unit had arrived! 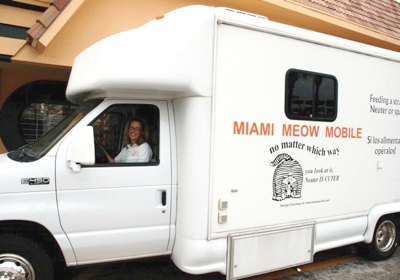 A number of creative and catchy name suggestions for the vehicle were received, and by 2005, the organization ultimately selected “Miami Meow Mobile” as the official name. The clinic and adoption center on wheels is fully equipped with a generator, surgical suite, anesthesia machine, wet prep sink, refrigerator, two air conditioning units, and twelve show cages. 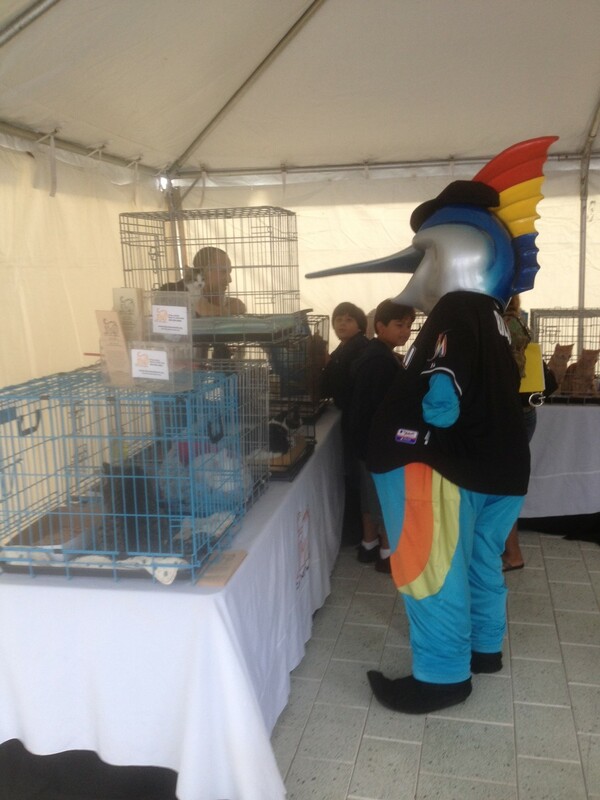 Eight of the cages have large plexiglass viewing panels to showcase adoptable animals. It is truly a remarkable facility! Since 2005, the Meow Mobile has been involved in a multitude of successful cat spay-a-thons and adoption events. The progress has been outstanding, and it has really made a difference in the Miami-Dade community and for the cat overpopulation problem in South Florida. In 2009, we sterilized approximately 1600 cats on board the unit; in 2010, an additional 2,255 cats were fixed; and in 2011, we sterilized another 2,900 cats! We anticipate well exceeding that number for the year 2012. Maintenance, insurance, and operating expenses are covered by generous donations by many individual donors such as yourself. Thank you for your ongoing support. Without it, we would not be able to offer spay/neuter surgeries at such a low cost on a regular basis. 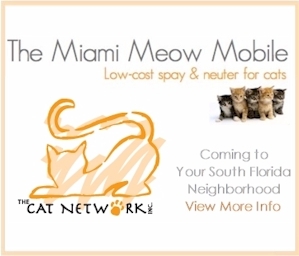 The Miami Meow Mobile is owned and operated by The Cat Network, Inc.